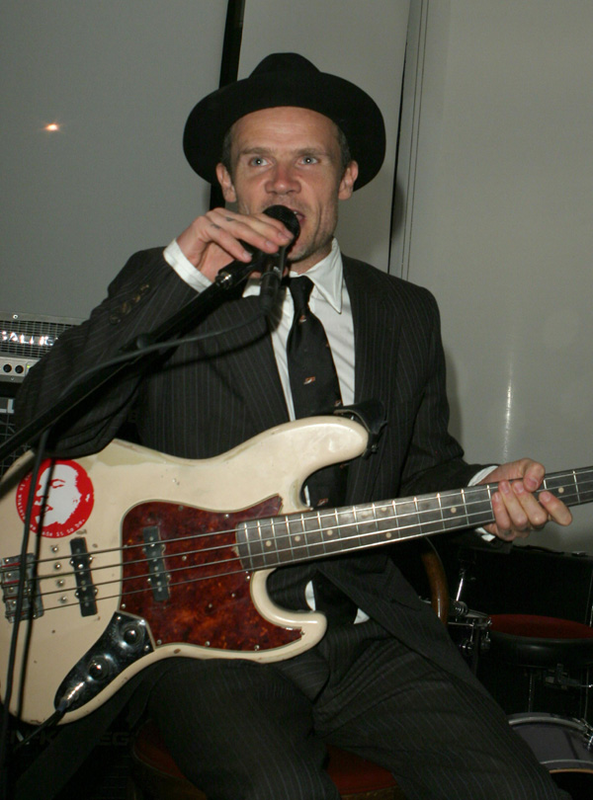 Flea’s super rare vintage “Shell Pink ’61 Fender Jazz Bass” sports a sticker of D. Boon, former lead singer of the Minutemen. 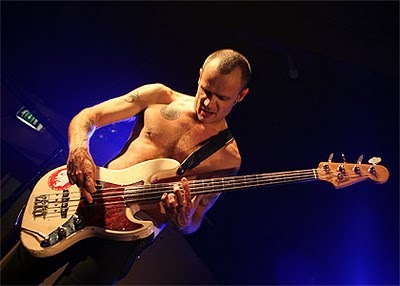 Flea used this bass to record the Red Hot Chili Peppers album “Stadium Arcadium” and even toured with it for a short while. The bass is extremely valuable because it is one of very few original “Shell Pink” jazz bases ever produced by Fender. 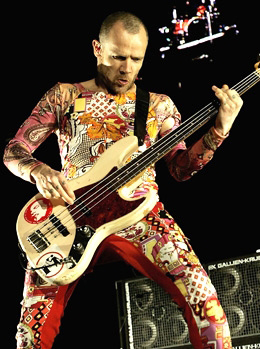 Flea caused a bit of an uproar on a few bass player message boards for defacing a estimated $35,000 bass with the sticker. It obviously does not matter to Flea as he even added another one later. 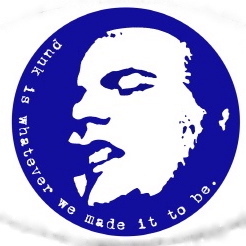 Here’s the D. Boon sticker. D. Boon was an American singer, songwriter and guitarist. Active between 1978, when he joined The Reactionaries, and 1985, when he was killed in a van accident, Boon was best known as the guitarist and vocalist of the Californian punk rock trio Minutemen. He is number 89 on Rolling Stone’s list of the 100 greatest guitarists of all time. 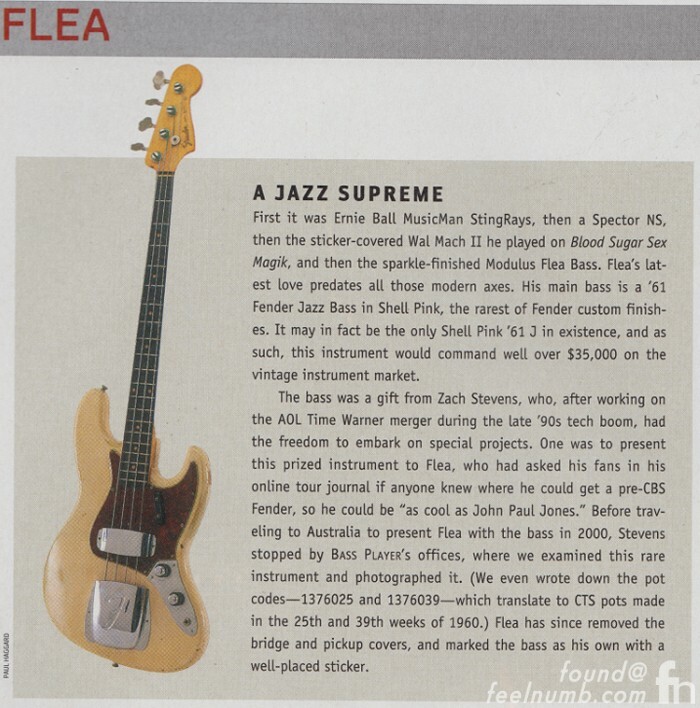 Check out the article about the vintage bass in bassplayer.com. 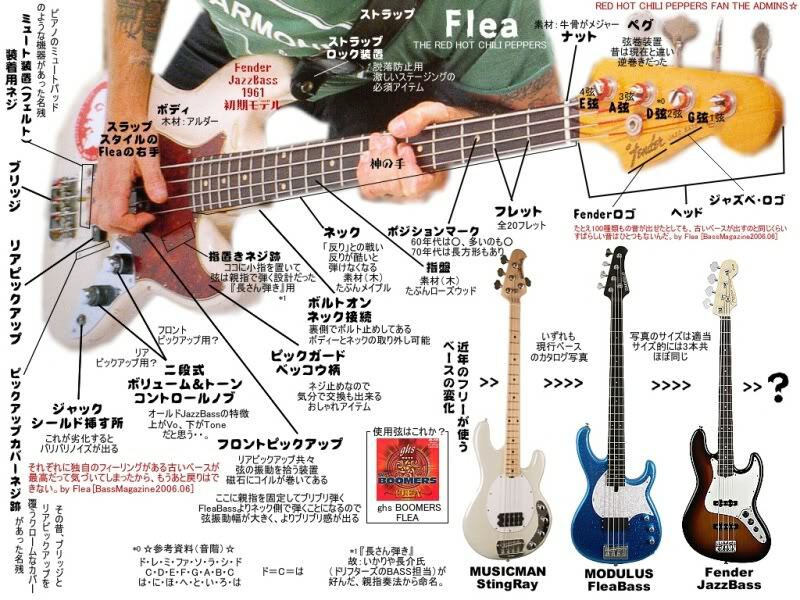 Here’s a ad form Japan that shows a close up of the bass.